One of the weekend checkpoints took place from Friday night through the early morning of Saturday to help bust intoxicated drivers before they caused a drunk driving accident in Massachusetts. In this particular checkpoint, the State Police’s Troop A conducted traffic stops in Lawrence on Route 28. Nearly 10 drivers were arrested for driving under the influence, more than 100 motor-vehicle violation citations were written and three criminal summonses were issued. Our Boston drunk-driving accident attorneys would like to tell you more about the recent efforts of our state officers to get dangerous drivers off our roadways. During the same time period, the State’s Troop B set up shop in Springfield on State Street. This checkpoint resulted in more than 50 motor-vehicle violation citations, nearly 10 criminal summonses, five DUI arrests and three additional arrests. Through the Saturday evening/Sunday morning efforts, officers from Troop H conducted checkpoints in Cambridge on Memorial Drive. These officers were able to issue more than 40 motor-vehicle violation citations, nearly 10 DUI arrests and three additional arrests. Sobriety checkpoints are already scheduled for the future. Every time our officers conduct a sobriety checkpoint, hundreds if not thousands of driver pass through. These checkpoints help officials to weed out the irresponsible drivers while also searching for vehicles that may not be safe to be on our roadways. In 2009, there were nearly 350 traffic accident fatalities in the state of Massachusetts. More than about 130 of these fatalities were alcohol-related and nearly 100 were fatal drunk driving-related accidents. Even with the strict penalties for drunk driving in the state of Massachusetts, drivers continue to disregard public safety and continue to get behind the wheel after having a few too many drinks. -Jail time. Up to 2.5 years. -A fine from $500 to $5,000. -License suspension for a year with the ability to obtain an education/work hardship after three months and a general hardship after six months. -Jail time. Mandatory jail time of 30 days. No more than 2,5 years. -A fine from $600 to $10,000. -License suspension for two years with the ability to obtain an education/work hardship after one year and a general hardship after 18 months. -As of January 1st 2006, a second time offender must have an ignition interlock device (IID) installed in the offenders car for at least two years. The cost of this device falls on the offender. 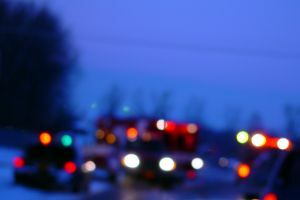 If you, a family member or a loved one has been involved in a car accident with a drunk driver in Massachusetts, contact the drunk-driving accident lawyers at The Law Offices of Jeffrey S. Glassman for a free and confidential consultation to discuss your rights. Call 877-617-5333.